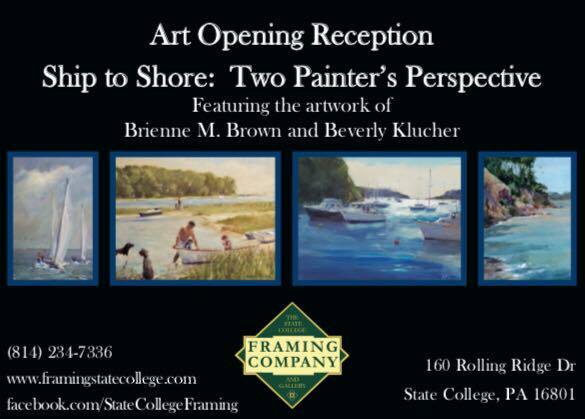 You are invited to our “Ship to Shore: Two Painter’s Perspective” Reception with Artist’s, Brienne Brown and Beverly Klucher. Saturday, April 29th, 2017 from 4:30-7:30pm. Come meet the Artist’s and enjoy some refreshments.